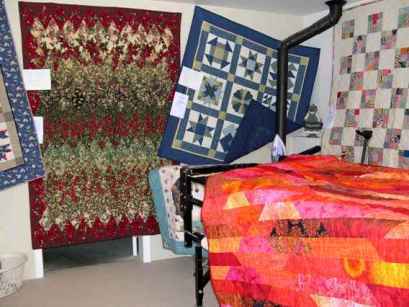 My Quilt Studio Open House was a huge success!! 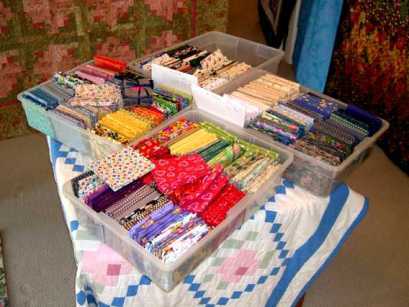 Lots of quilters (and non-quilters) came through on both days. 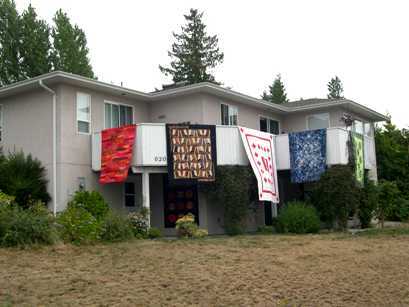 Sixty two of my own quilts were hanging throughout my Studio and the “Retreat Suite”. Five of them were hanging off the balcony, and two were on the walls outside the two entrance doors. Inside we had the “Stash Slash”, and the quilters were having fun sorting through all the Fat Quarters and books for sale. Some of the hubbies who came were also into it! One quilter said that she was on her way to pick up her dogs when she saw the “Open House” signs, and the car just turned in!! 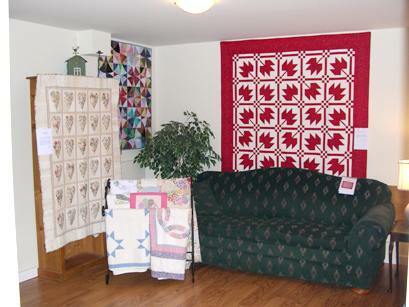 Quilt Studio with Longarm Machine. 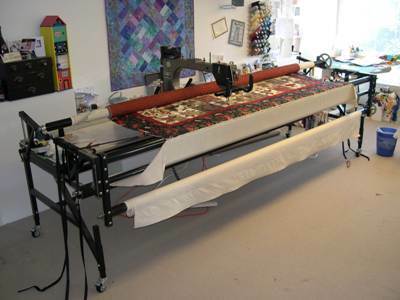 Here you see the longarm quilting machine in the foreground. 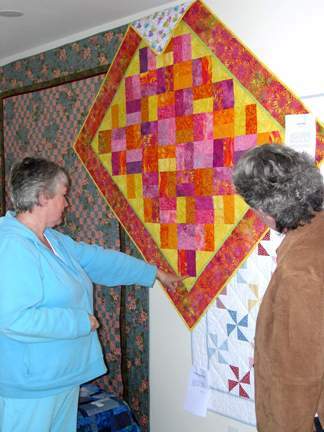 Longarm Quilting demos were ongoing throughout the day. Lots of ladies and their husbands loved the longarm quilting machine and could see how it would save a lot of time in the quilting process. 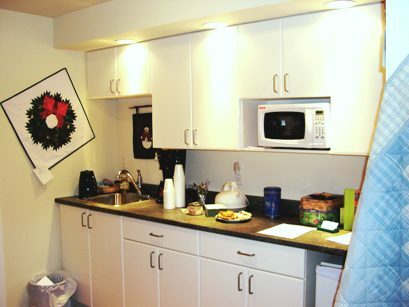 There were treats at the end of the quilt trail – coffee and cookies in the mini kitchen of the “Retreat Suite” along with a draw for “2 Nights for the Price of 1” in the “Retreat Suite”. The lucky winner is Sheila Hunter from Bowen Island. We look forward to having her come to a retreat sometime in the near future! This is the living room to relax in, if you decide to take a break!!! Quilt Design Wall - This is my design wall with one of my creations coming to "life"
Everyone who came had some kind words to say about the quilts and the Studio and Suite. 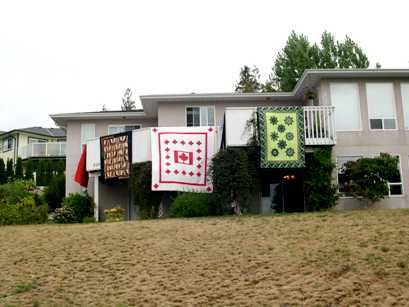 Some visitors even called on Monday and came to see the quilts, as well as several more of the neighbors. 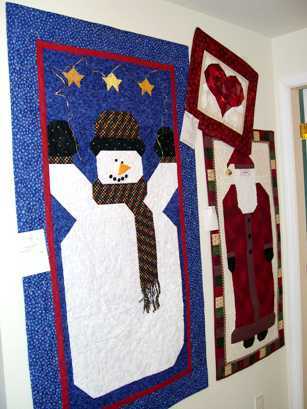 If you wish to buy one of these quilts or make one yourself, contact me, I can help.